Taste like Traditional Pasta with no Need to Rinse! 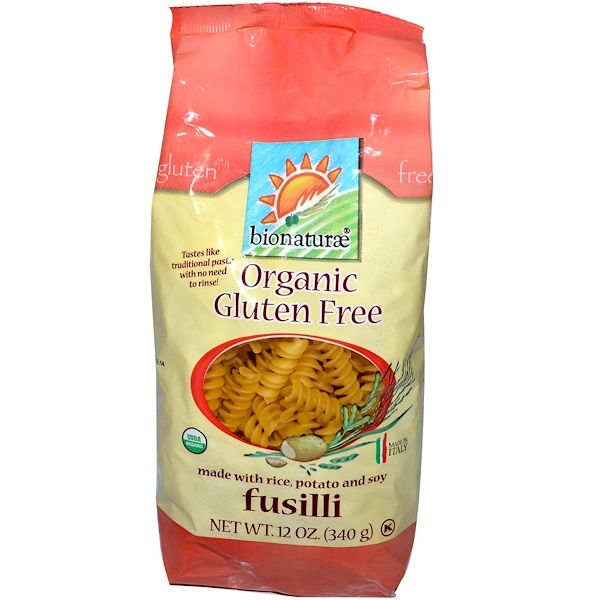 Eating gluten free pasta does not mean sacrificing taste, texture and nutrition anymore. Bionaturae carefully developed this gluten free pasta to cook "al dente" and closely match the flavor and nutritional content of wheat pasta. 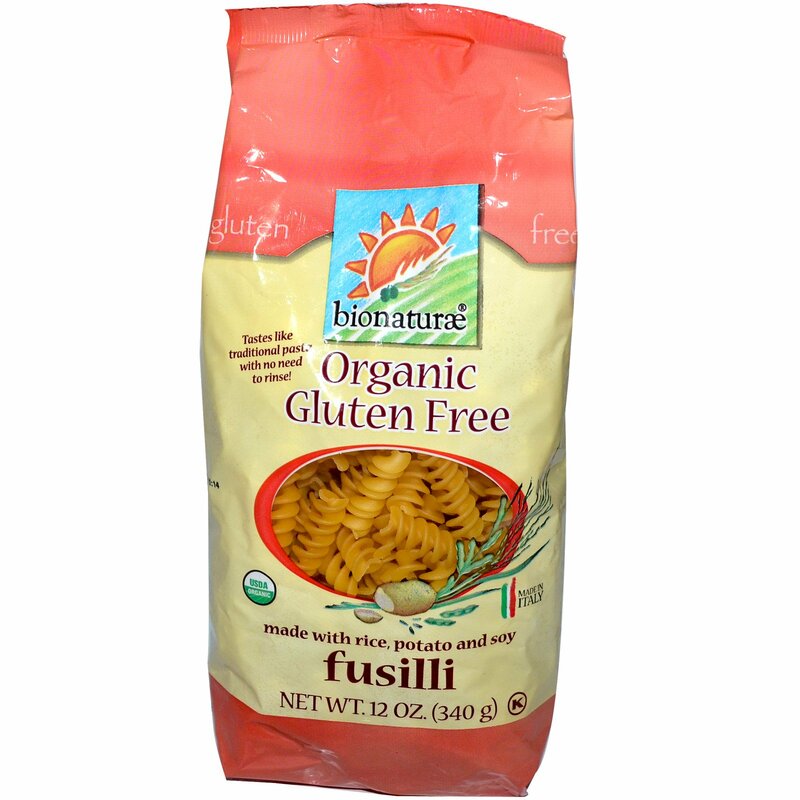 Bionaturae gluten free pasta will satisfy your dietary needs while bringing pleasure to your table- in the spirit of Italian dining tradition. Bring 3 quarts of water to a full boil. Add 1 tablespoon of salt. Pour in 12 oz of gluten free pasta and cook uncovered, stirring regularly so pasta does not stick. Maintain full boil to ensure proper cooking. Drain the pasta, do not rinse, add sauce right away and enjoy. 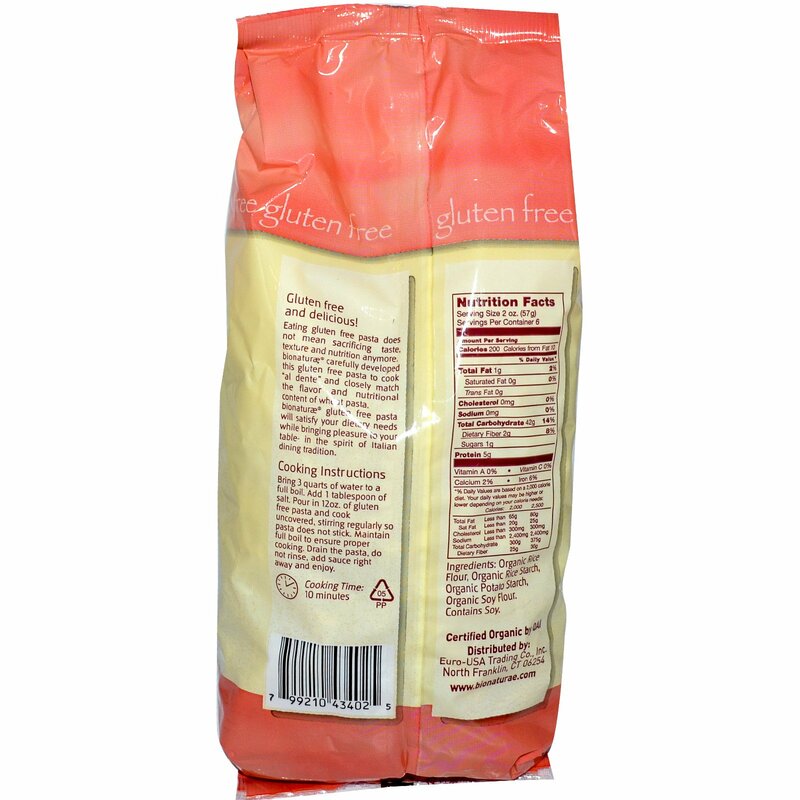 Organic rice flour, organic rice starch, organic potato starch, organic soy flour.